H4 replica by Norm Banham showing the aluminium case. Image: Martin Foster. It is said that longevity is improved markedly by keeping your mind challenged and active and keeping hand–eye coordination intact. If that’s the case Norm Banham might last forever. And he has the clocks that will last with him and keep time accurately – an exquisite replica set he made of John Harrison’s four intricate and ground breaking marine timekeepers. Harrison’s work commenced in 1730 and was completed in 1759. Harrison’s timekeepers are central to the story about longitude brought to life in the exhibition Ships, Clocks & Stars – The Quest for Longitude and as its tenure at the Australian National Maritime Museum draws to a close at the end of October, an Australian connection that deserves more attention has come to light. Three replicas from different English makers of Harrison’s H1, H2 and H3 have been on display in the exhibition (you can see the H3 being assembled at the museum in the video below). H4 is the historic timekeeper which demonstrated that keeping accurate time at sea was possible despite the best scientists of the time, including Isaac Newton, concluding the problem was insurmountable. 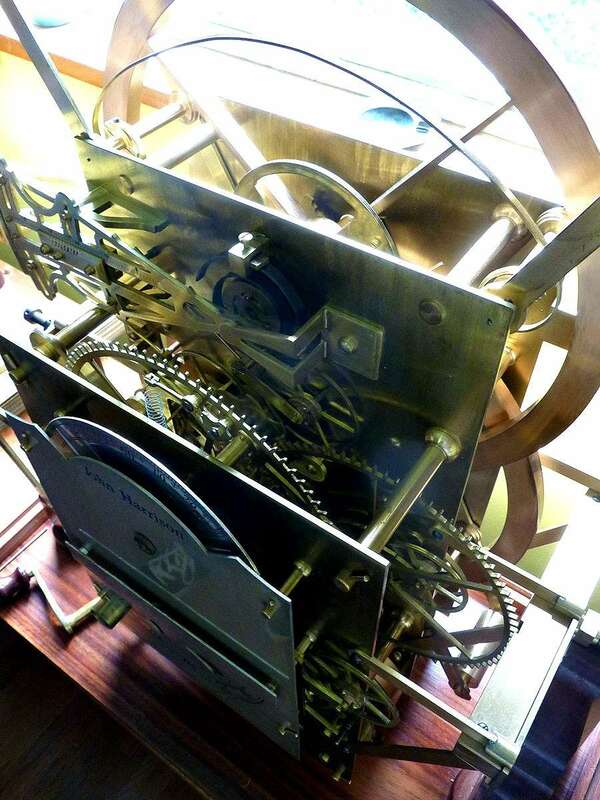 H4 is represented in Ships, Clocks & Stars by both the original timekeeper manufactured by Harrison and a replica begun by Derek Pratt in 2004 and finished in 2014 by Charles Frodsham & Co Ltd.
As part of the requirements for Harrison to receive his reward, the timepiece had to be replicated, and Larcum Kendall did so in the late 1770s with K1. This timepiece travelled with James Cook on his second and third voyages in the Pacific. A second Kendall version of H4, known as K2, then went aboard HMS Bounty. It survived the aftermath of the mutiny but was not recovered and returned to the UK until 1840. It too is on display. Bringing this collection of original and well-known replica timekeepers to Australia for display has recently brought to my attention Norm Banham, an Australian quiet achiever. Banham is a retired instrument maker from the Mt Stromlo Observatory in Canberra, and he has also made replicas of all of Harrison’s timekeepers. Showing the virtues of the Australian ‘I reckon I could do that myself’ approach, he took on the task, largely for his own interest and satisfaction, beginning in 2000 and finishing in 2014. His work is not widely known despite some publicity such as this report on the ABC in 2014. 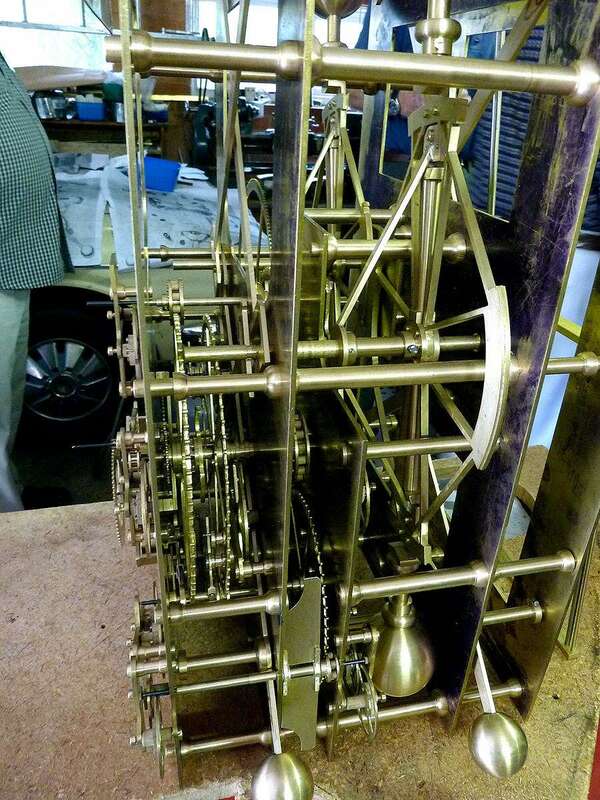 In 2008, when the British Horological Institute celebrated 150 years with a seminar in Upton Hall, Australian horologist Martin Foster showed images of the Banham H4 replica and Roger Little from Canberra briefly addressed the meeting about the replica. A close up view of the H3 replica by Norm Banham. Image: Martin Foster. Norm Banham’s father, Horace, had begun in the workshop at Mt Stromlo in 1924. Norm followed on as a machinist and instrument maker from 1948 to 1988. 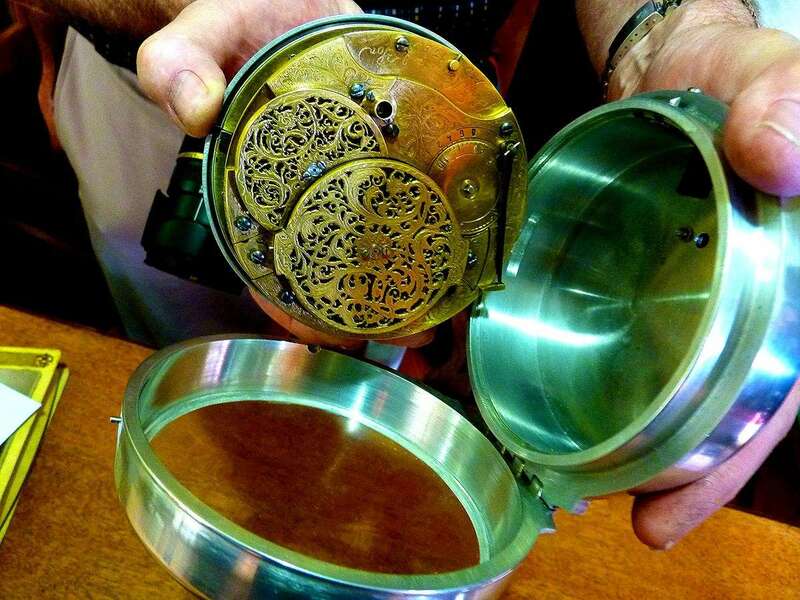 He then retired and began to make clocks in his free time, replicating interesting older timekeepers. After reading Dava Sobel’s 1995 book Longitude: The True Story of a Lone Genius Who Solved the Greatest Scientific Problem of His Time he became interested in the Harrison timekeepers. Neighbor and clockmaker Don Unwin suggested that Norm should begin work on the Harrison clocks, a task that has since made him the only person in the world to complete replicas of all four. With help from colleagues he was able to obtain the information needed to build H3 first before building the remaining three. For H1 and H4 dimensioned plans were published in journals which made their task a bit easier, but sourcing materials had its moments. H1 used oak gear wheels, and Banham was able to obtain the material from an old Mt Stromlo sideboard, while the bosses were made of lignum vitae, a dense wood that contains its own oil providing a means of self-lubrication. It is now not widely available, but luckily a Canberra supplier had some he could use. The replica of H4 uses many of the original materials, but includes artificial rubies, and instead of a silver case it is machined from aluminium. The intricate detail is easily seen in this view of the H2 replica by Norm Banham. Image: Martin Foster. The clocks take between a year and a half to two years to complete, working almost seven days a week as there are so many specialised parts, and then it takes more time to set them in motion correctly. There are many challenges with the different materials and the intricate and very fine tolerances needed to achieve the time-keeping accuracy they were able to manage. Banham’s replicas of H1 and H4 have been on show in the past at the exhibition Mapping Our World: Terra Incognita to Australia at the National Library. Ships, Clocks & Stars: The Quest for Longitude is on at the Australian National Maritime Museum until 30 October 2016. You can read more about the history of the longitude problem in our feature story, Longitude: The story that goes full circle. Ships, Clocks & Stars: The Quest for Longitude has been produced by the National Maritime Museum, part of Royal Museums Greenwich, London. Proudly supported by United Technologies Corporation.